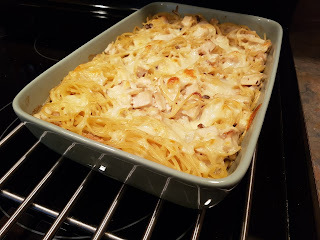 I found this recipe at Frugal Girl, and it was a hit with The Mister and me. Not the kids. Nothing is a hit with the kids. But! 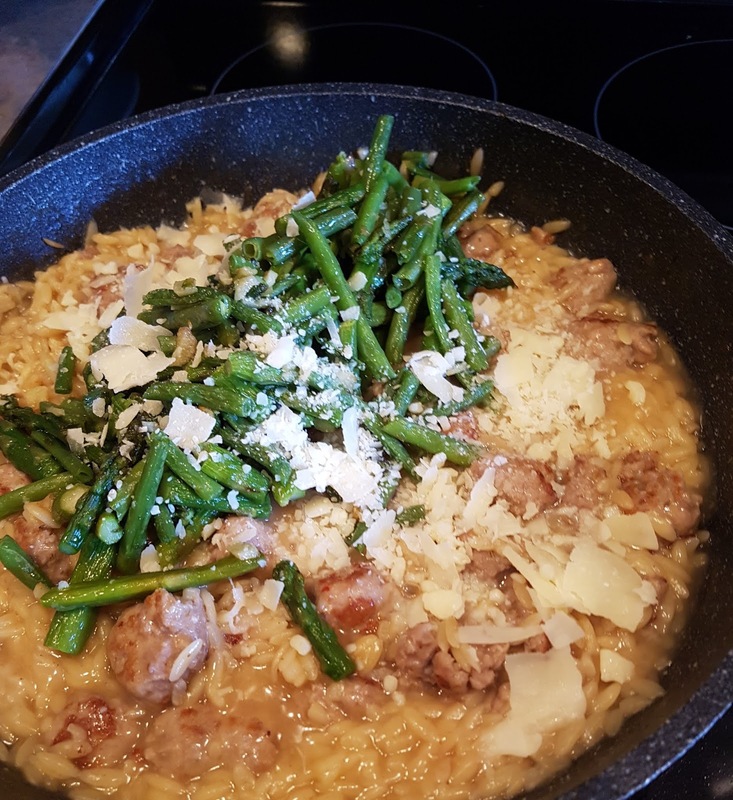 If you like orzo, and if you like sausage, you should try this dish. It's quick and delicious you could swap in and out whatever veggies you please. I used green beans because I had 'em, but pretty much any veg would be super in this. Meatless would be grand too. I am a big orzo fan and we don't eat it enough. Gotta change that.